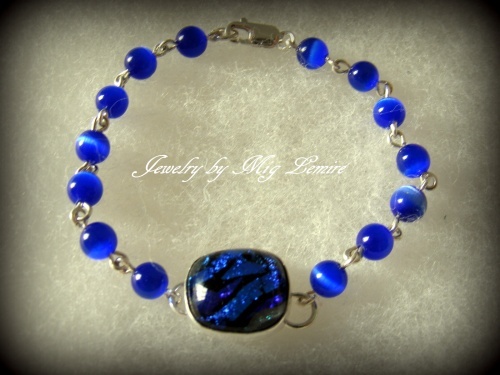 This bracelet is so striking with its bright cobalt blue focal of handmade dichroic glass, soldered in sterling silver. Beads for the bracelet are matching fiber optic beads. Measures 7 1/2". If you want a different size please mention size needed and I will make it that size for you.